Now you see this is the week I should dread really. 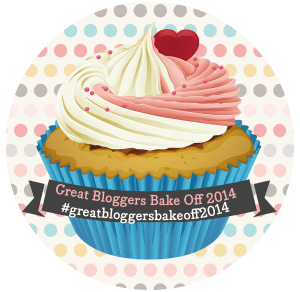 Because I literally never make pastry – I have now done it twice in my life and both were for the Great Bloggers Bake Off. Last time was way more successful. My hands are too warm for pastry. This is my excuse and I am sticking with it right the way through this disaster. So, it was pastry week and I had a load of cooking apples sat looking at me in the kitchen and I got sucked in by the guy on the market shouting about British strawberries so I had two boxes of those too – nothing for it, Apple and Strawberry Pie it had to be. So obviously as I had no idea what I was doing, I decided to invent a recipe and completely wing it. The only thing I did was look up a very basic recipe for sweet pastry and I even managed to get that wrong in the end. First up I prepped the apples which came from my parents’ garden so there were a few wriggly inhabitants that needed removing and such like. I then put the chopped apple in a bowl and added a couple of tablespoons of brown sugar (I think it was actually three but in hindsight should have only been two) along with a teaspoon of mixed spice and half a teaspoon of cinnamon. I stirred all these together and left them to… soak? Marinate? Anyway, I left them whilst I made the pastry itself. I followed the instructions I found and ended up with something closely resembling cake batter so I threw in more flour and a spoonful more sugar and kept mixing until it stopped being basically runny. The recipe I looked at then said ‘roll and use’ which is what I did. I think maybe I should have chilled it for a while first because it was so soft that it just slid down the sides of the pie dish and made holes everywhere and generally looked terrible. I patched it up as best I could and realised that I didn’t have enough to make a top for the pie so I was going to have to make a second lot anyway. Before doing that I decided to fill my pie as I wasn’t sure I had prepared enough fruit. I put a few halved strawberries on the bottom then poured in the sugary spiced apple mix. I then added a layer of sliced/halved strawberries on the top and used them to fill up any parts that had less filling. Then I made more dough – slightly more successfully than last time but still super soft and useless – fought it onto the top of the dish, patched it all up and sprinkled the top with brown sugar and cinnamon. Then I baked it at 180°C for about 30 minutes (almost all of that time I was GBBO-style sitting in front of the oven watching it fearfully) and decided it was done! 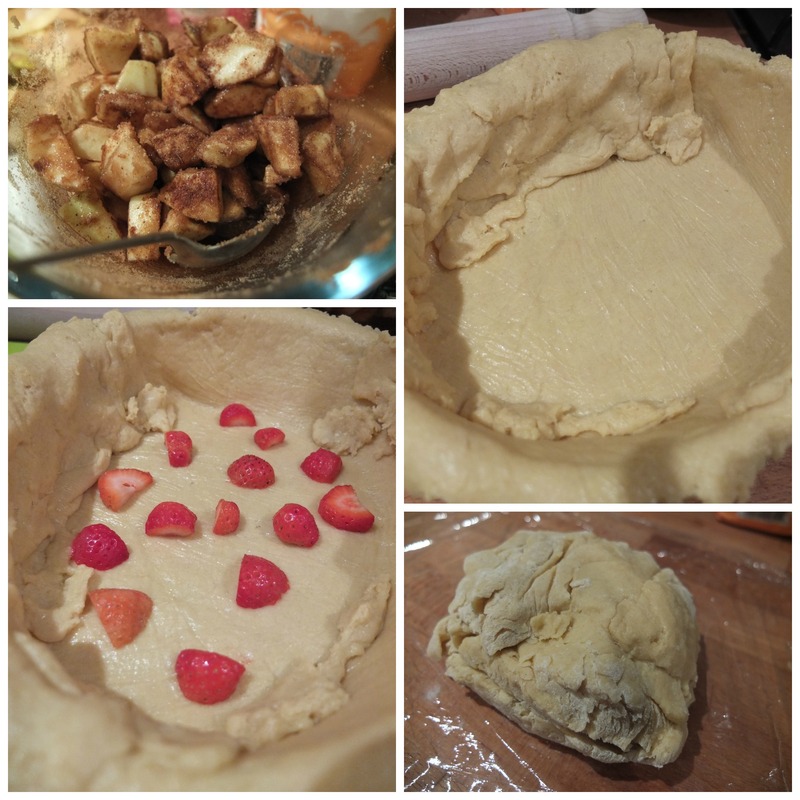 The pastry on the top was crisp and crumbly however the filling had produced so much liquid that when you lifted a slice out it quite literally pooled out into the space as strawberry-apple juice – it would have passed as a self-saucing pudding last week! This meant that it most definitely had a bit of a soggy bottom, oops. 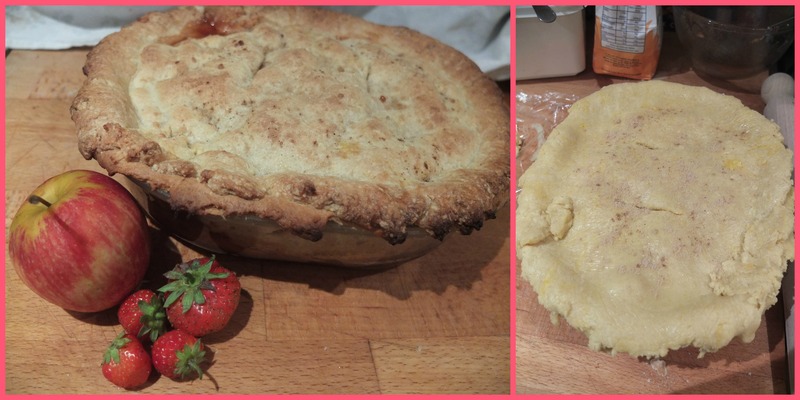 i think the pie looks lovely and i love the flavour of apples and strawberries in one too.